XPOWER inflatable blower brand is reliable, powerful and safe, that will perform in any situation and deliver the performance and dependability professionals need. Robust equipment means a longer life, and XPOWER has worked hard to secure the finest selection of inflatable advertising air blowers possible. They know that your air blower may need to be used in poor conditions sometimes, you can’t always create the perfect environment when you need a job to be done, and that is why we have put together a range of cold air blowers that are hard wearing, reliable and can handle adverse conditions and keep on working for you. All XPOWER products come with safety certification. All the cold air blowers we carry have been awarded the highest ETL and UL safety certification for both indoor and outdoor usage. That gives you the peace of mind to use our XPOWER inflatable air blowers in every situation, wherever you are in the world. 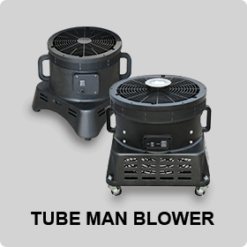 Air Chaser has selected the top of the line high static inflatable blowers, tube man blowers and centrifugal fan balloon blowers from XPOWER for advertising professionals, offering a wide array of high static pressure and high CFM machines for every type of job. Having the right air blowers for your business is crucial, whether that is for advertising, inflatable bouncy house blowers or any other use. 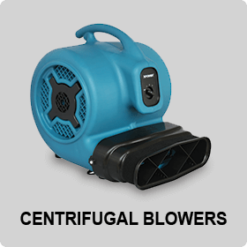 We offer a range of XPOWER blowers that deliver everything that is needed in a range of sizes, because they best fit our need for hard wearing, robust, reliable and high-performance air blowers. Professionals choose XPOWER’s products because the equipment offered exceeds the advertising industry’s performance, reliability, and durability standards. We understand that cost matters, and while our choice of inflatable air blowers means finding the best performing, we also look at unit costs, because overheads matter to you. 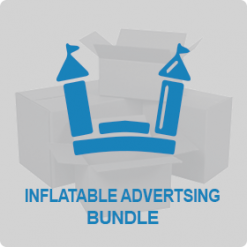 We further reduce your costs by using volume buys from the factory that ensure the lowest price possible for each unit, so we are able to consistently provide the lowest price for the best performing cold air inflatable advertising blowers available today.